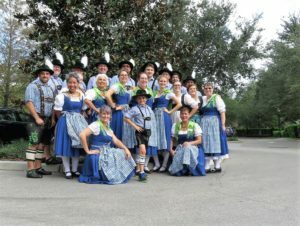 We are a German dance group (Schuhplattler Gruppe) based in the Orlando area and founded in 1980. 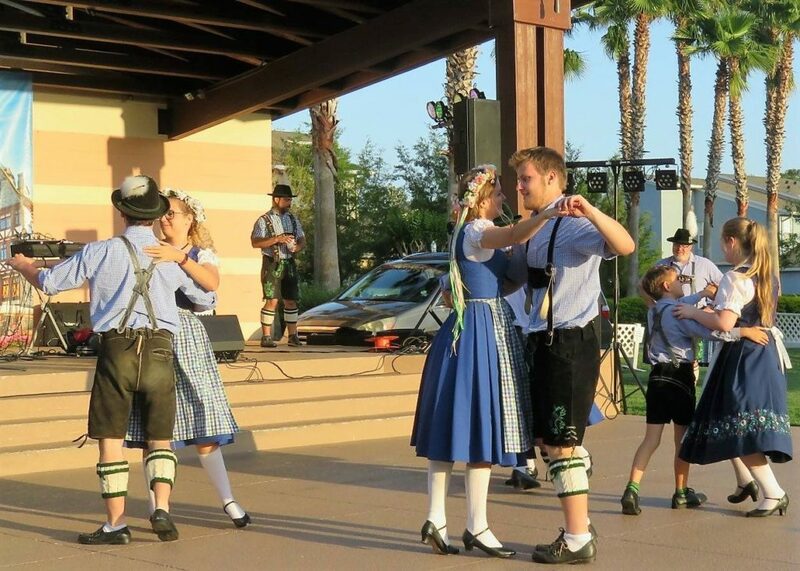 Our German dancers perform throughout the state but mostly in the Central Florida area. 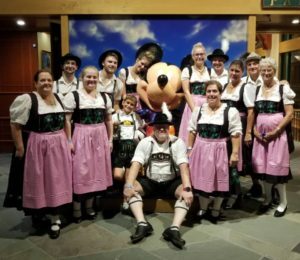 Our mission is to create and foster among our members a genuine love for Alpine traditions and customs, Schuhplattler folk dances and comradeship. 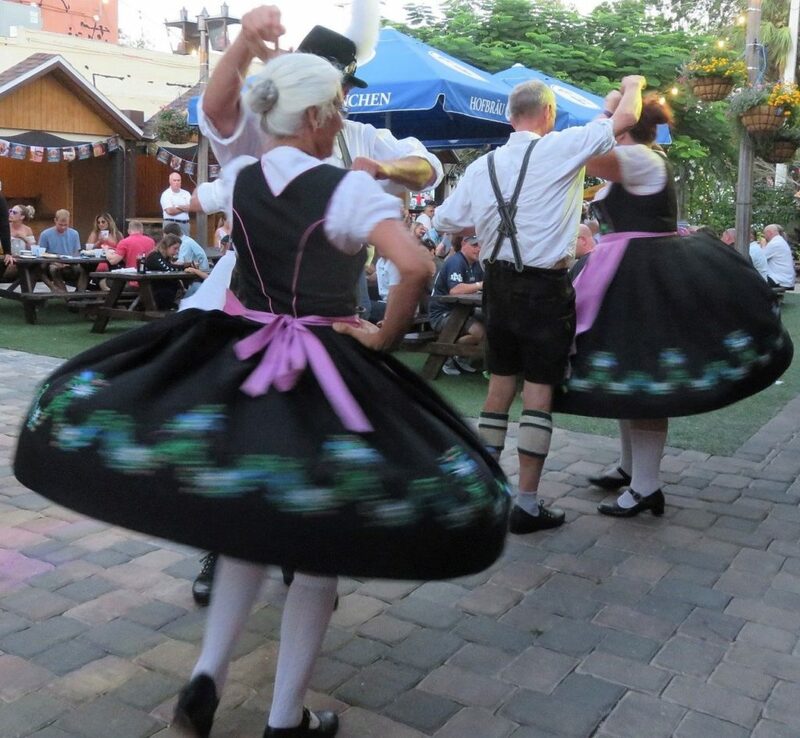 We perform our Schuhplattler dances at private and public events all over the state of Florida. 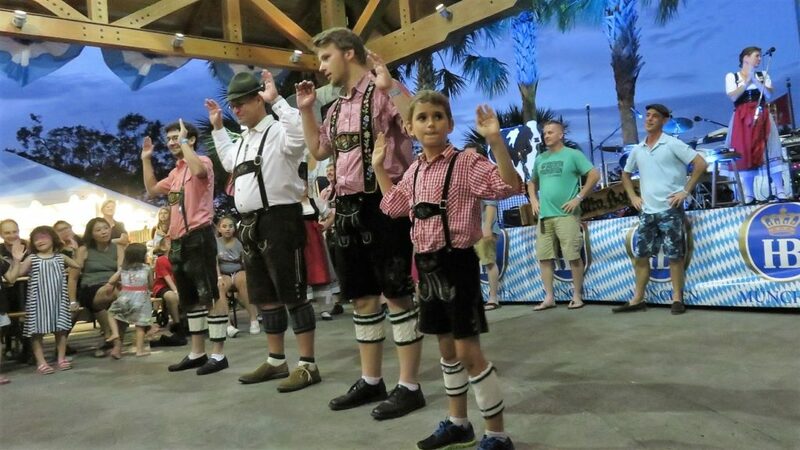 Although Oktoberfests are our main performance venue, we also dance at International festivals and do charity performances at local assisted living facilities where we can give back to the community. Our dance group is multigenerational with members aged 2 to 92! Some of our kindergruppe (kid's group) started dancing when they started walking. We encourage all of our dancers to learn & perform no matter what their age, and we teach dances at all levels of ability. Some folk dances are easier to master while other schuhplattler dances require a bit more athletic skill. 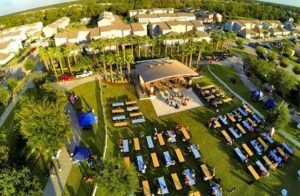 Every year we host a Biergarten at the Avalon Park Oktoberfest and do it again in the spring during Absolutely Avalon - it's a Springtoberfest! 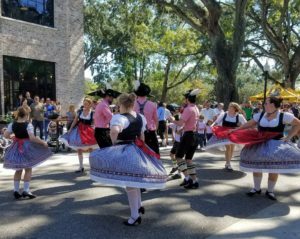 Located in downtown Avalon Park, our fundraising events celebrate with German food, Imported German Beer, music by the talented Europa Band and dance performances by our group - the Schuhplattler Gruppe Alpenrose. What in the world is Schuhplattler? It is a traditional style of folk dancing that became popular in the regions of southern Germany and Austria. It is commonly considered a courtship dance that copies the wooing behavior of the Auerhahn (a very flirtatious bird). Several couples march out in a circular pattern on the dance floor. As the male performers stomp, clap, and hit the soles of their shoes and slap their thighs with their hands, the ladies wearing a specially made dress spin around the men creating a bell with their skirts. The couples waltz, perform figures and clap hands as well. The men wear traditional leather pants known as lederhosen and the women wear a dirndl (dress) or black mieder (vest) with a skirt and apron. 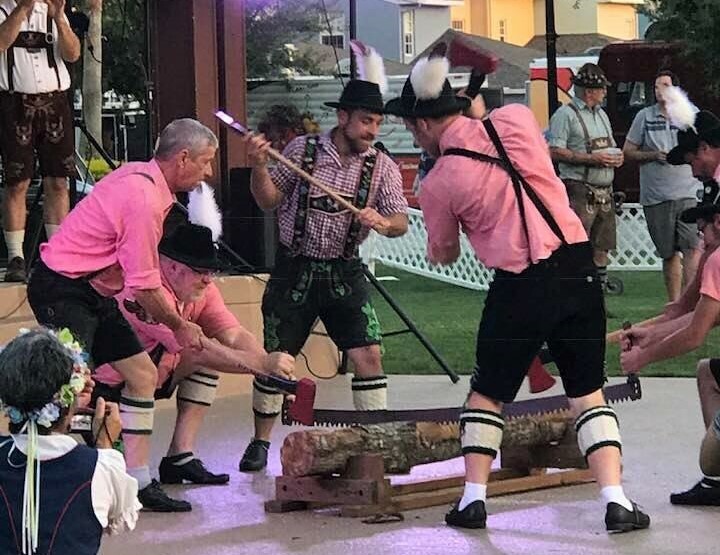 The Schuhplattler dances often take their names from the towns where they originated, like the Reit im Winkl or the Ruhpoldinger, other dances are named after a profession like the Holzhacker, which means wood cutter. While we cherish the traditional aspect of the dance and dress we also feel it is essential to add laughter, fun and enthusiasm to our performance to draw in the crowd and leave them energized and connected with our German culture. TANZEN-LACHEN-LEBEN is our motto which means Dance-Laugh-Live and it sums up what our group is all about. We welcome any interested like-minded people who enjoy dancing, German culture and Gemuetlichkeit (Friendship & Good Times) to come to one of our practices. Dance practices are held Wednesday nights at 7 pm. Send us a message to find out more.